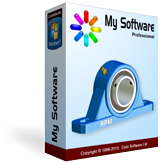 Ciclo has a set of licensable engineering software. Our products are development and productivity tools intended for design, manufacturing and maintenance of machinery and equipment. They perform selection, analysis and drawing of standard mechanical components, that is, machine elements whose technical specifications, such as physical properties and dimensions, are established by engineering standards. 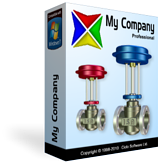 You will be fully enabled to create new designs as well as to improve existing designs of mechanical drive systems in a user-friendly environment. Your designs will be developed with high-end engineering techniques supported by internationally recognized methods and procedures. You will have absolute control and visibility over the sizing process of each mechanical component of your drive system. You will not be held hostage to any particular brand or part manufacturer, choosing the most suitable supplier for each design. 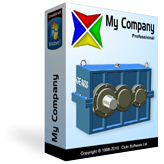 You will have the best software in its class at a significantly reduced cost. 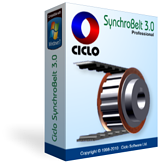 Ciclo VBelt is an advanced engineering tool that allows you create V-belt drive designs in a quick, accurate and reliable manner. 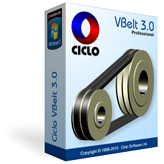 Developed according to technical specifications of the major standards organizations, Ciclo VBelt provides complete solutions and detailed reports for all design requirements. With a wide range of construction options, Ciclo VBelt generates drive designs that are perfectly compatible with the products of practically every V-belt and sheave manufacturer. 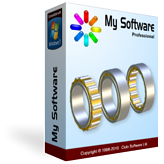 Ciclo DriveChain is a powerful and efficient software application that allows you create designs of drive systems for machines that operate under light to extremely heavy duty conditions by using roller drive chains and sprockets. Rebuilt with a more flexible interface, this new version of Ciclo DriveChain includes a set of easy-to-use tools that enable a high level of interactivity, which immediately provides complete solutions for all your requirements and engineering specifications.